WILLIAM DE PAKENHAM was seated in Suffolk during the reign of EDWARD I.
Anne, mother of Sir Henry Sidney KG, Lord Deputy of Ireland. SIR EDWARD PAKENHAM, Knight, accompanied his cousin, Sir Henry Sidney, to that kingdom in 1576, when Sir Henry went to assume the government there, as Lord Deputy. HENRY PAKENHAM (1618-91), was seated at Pakenham Hall, County Westmeath, in the reign of CHARLES I, having obtained a grant of the lands of Tullynally, in that county, which he so designated. This Henry represented the borough of Navan in parliament after the Restoration. 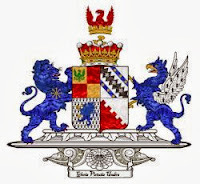 He married firstly, Mary, daughter of Robert Lill, of Trim, County Meath, by whom he had four sons and three daughters; and secondly, Anne, daughter of Sir Robert Pigot, by whom he had one son. SIR THOMAS PAKENHAM, Knight, MP, a lawyer of eminence, and prime sergeant-at-law in Ireland in 1695. THOMAS PAKENHAM (1713-66), who married, in 1739, Elizabeth, daughter and sole heir of Michael Cuffe, and niece of Ambrose Aungier, 2nd and last Earl of Longford (1st creation) of that family, to whom her father was heir. This gentleman was created, in 1756, Baron Longford; and his lady, in 1785, Countess of Longford. Elizabeth; Helen; Catherine; Helen; Caroline Penelope. THOMAS (1774-1835), 3rd Baron, who inherited the EARLDOM OF LONGFORD at the decease of his grandmother, Elizabeth, Countess of Longford, in 1794. Catherine Felicia; Georgiana Sophia; Louisa Elizabeth. Thomas Francis Dermot Pakenham, 8th Earl (b 1933). The heir apparent is the present holder's eldest son Edward Melchior Pakenham, styled Lord Silchester. TULLYNALLY CASTLE, otherwise Pakenham Hall, near Castlepollard, County Westmeath, has been the home of the Pakenhams for over 350 years. The original 17th century fortified house was remodelled first as a comfortable Georgian mansion, then as a huge rambling gothic revival castle in the early 1800s, by the 2nd Earl. a long, picturesque sky-line of towers, turrets, battlements and gateways stretching among the trees of its rolling park. Tullynally covers a greater area than than any other castellated country house in Ireland; it looks not so much like a castle as a small fortified town; a Camelot of the Gothic Revival. It inhabited in as the family home, now probably one of the largest in Ireland to survive in private hands. The interiors, part Georgian, part Gothic revival, have a fine collection of furniture and pictures. Guided tours also take in the splendid Victorian kitchens and laundries, complete with all their equipment. The gardens, like the castle are on a magnificent scale, taking in nearly 12 acres. Terraced lawns around the castle overlook superb 18th century parkland. The adjoining woodland gardens and walled gardens date largely from the early 19th century and encompass a grotto of eroded limestone from nearby Lough Derravaragh and two ornamental lakes. The present owners have added a Chinese garden, complete with pagoda and a Tibetan garden of waterfalls and streams; and a local sculptor has made fantastic woodcarvings in existing roots and trees. The walled gardens have extensive flower borders and an avenue of magnificent 200 year old Irish yews. For children, there is also an Adventure Trail leading to the lower lake, and for those who wish to take the gardens more slowly, there is an assortment of delightful, ornamental summer houses and seats, each offering a different view. First published in November, 2011. Longford arms courtesy of European Heraldry.